Admittedly, we love rosé. Historically, we have tried to squirrel away a few bottles of rosé at home to enjoy on those evenings when we crave the memories of the warmth of the sun on our skin and light after 5:30 p.m. Mercifully, it has finally become acceptable to enjoy rosé year-round, even in cold climes like Vermont. At Windham Wines, we have narrowed our selection to include those rosés that have the stuff to hold up to the heartier foods of the season, from root vegetables to roasted chicken and spicier stews. The Birichino, Vin Gris, qualifies. Since we received this wine in June, it has morphed from a wine in which we were disappointed to one that we look forward to the occasion to share. We have become devotées of this wine. Over the course of the late summer and fall, it has rounded out and shown riper fruit, from tarter blueberry and cranberry to strawberry and persimmon. It also shows some savory and floral tones now; concentrated, bone-dry, juicy, delicious. The Birichino, Vin Gris, should go the distance on Thanksgiving, from appetizers to the table. As Eric Asimov wrote when he anointed the County Line as his top California Rosé this past summer, many California producers prefer “restraint, subtlety and freshness” to the heavy, sweet, high-alcohol rosés that characterized the first wave California rosés. County Line is the “second” label of cult Radio-Coteau out of Sebastopol on the Sonoma Coast. 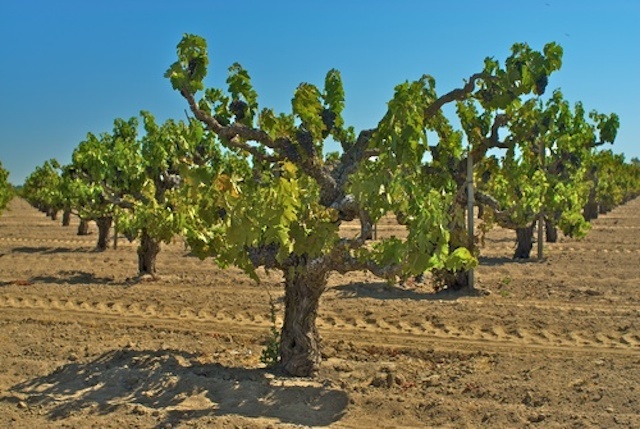 The mission of County Line is to produce food-friendly wines meant to enjoy now. The first vintage of County Line, 2003, was dedicated solely to producing a rosé from Pinot Noir from the Elk Horn Ranch in Anderson Valley. 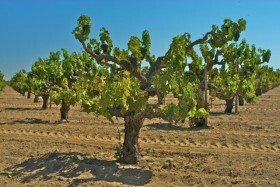 The grapes are whole-cluster pressed which contributes to the “restraint, subtlety and freshness” referenced above. Many wineries “destem” and sort grapes specifically for their wines, particularly the very high-end Napa and Sonoma wines that command top dollar, in part because of the argument that each grape was individually sorted for inclusion in the top cuvées. When berries are destemmed, however, the skin is broken where the stem was attached, allowing some juice to escape. In contact with the skins, the juice absorbs more phenols and tannins, which increase the flavor intensity and may contribute a harshness to the mouthfeel. Intact clusters minimize that color and flavor leaching, yielding more delicate, lighter-colored wines. In his review of California Rosés, Eric Asimov wrote that the County Line was “barely tinged with rouge, yet was steely, textured and refreshing, a rosé that I felt I could drink year-round.” We were able secure two cases of the County Line this year, and held one until now to be available at Thanksgiving. It will surely be a welcome companion at the table, but will also perform rosé’s signature roles of invigorating and reviving you as the day wears on.